View our 2018 Classroom and ONLINE Training Schedule and register below or CLICK HERE to view our WEBINAR ARCHIVES Page. For more information, contact us at: info@mde.net. Local IT Manager Institute & ITBMC Certification training classes (either private company or open classes) are available in the US and Canada plus select cities per approval. Contact us at info@mde.net if interested. 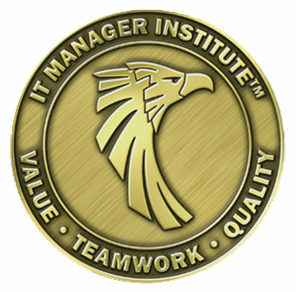 Premium GOLD Members receive free access to all Practical IT Manager Training Series classes (both new and previously recorded). These recorded classes are added to our exclusive GOLD MEMBER site the week of each class. Before you start managing an IT organization you need to be aware of many of the dynamics that are taking place that can directly affect your success. Things like employee work behavior tendencies, keys to gaining credibility, primary causes of IT failure, and the IT manager traits that lead to IT success. $ 99.00 (US) RECORDING NOW AVAILABLE – CLICK HERE to see all recorded classes. Learn how to develop and communicate a practical IT strategy that is business driven and targeted to achieve business value success. This class includes a free download of my book, IT Strategy: align your IT vision to business value. You need a few key operational processes in place that help your organization deliver the IT support needed by your client. Change management and other processes will be key to your IT success. This class will give you simple steps to establish change management in key areas of IT support. It’s important to track the technology assets of your company so you can manage them more effectively in delivering cost effective support solutions. Use the process and tools in this class to help you make it happen. Effective policies and procedures are an important part of a successful company. This class gives you a simple process to develop new policies and procedures plus a free download of my book, Practical IT Policies and Procedures. The download also includes 23 sample policies you can customize for your situation. The IT Organization has tremendous leverage in a company in being able to reduce the cost or improve the productivity of every organization in the company. No other organization has this level of leverage. This class dives into the leverage opportunities IT has and gives you specific examples of strategies I’ve used in my career. Includes a free download of my book. Technology Cost Saving Strategies. Measurements can help you understand what’s going on and will show you where specific improvements are being made. Learn how to evaluate what you need and how to develop and communicate a few key measurements that will help you achieve more success. Effective communication is critical for any IT manager’s success. This can do more for you than almost anything you can do. You still have to deliver the goods, but all is lost if you can’t communicate effectively. This class walks you through what you need to communicate, who to communicate to and how to get it done simply and effectively, , , plus I’ll give you tips to help you overcome your “lack of desire to communicate tendency” most of us unfortunately have. The path to success is to perform well so you earn high ratings in your manager’s performance review, no matter what level of responsibility you have. This class will give you a guide along with specific tips to help you achieve more and receive appropriate recognition for your successes. Included with this class is a free download of my Executive Report titled, Ace Your Next Performance Review. You need to be organized personally along with organizing your team to achieve significant levels of success. In this class, I will give you my personal secrets of how I organize my goals and objectives and manage my to-do’s to maximize the results you can achieve each month. This process will help you get more done by creating better focus and more clarity. I’ll also introduce you to the tools I use that make this easier and more effective. Your employees want and need to hear from you. Staff meetings are effective communication venues for coaching, educating, and focusing your team on important issues of the day. They are also super ways to recognize people and to reinforce the fundamentals of delivering effective IT support. Make your staff meetings count and use these tips to improve the team as well as motivate them for more success. Getting approvals for large projects can be difficult. Use the strategies we discuss in this class to create better business cases that help senior managers look at IT as an investment and not as a cost center and to look at you as a business partner and not a technical manager, , , BIG DIFFERENCES. What we do is similar to any other profession in that it is the fundamentals that count. Implement the fundamental processes that lead to successful IT support and coach your employees to do the fundamentals in their roles that are necessary for success and you will build a winning team. Successful sports coaches, whether it be baseball, football, or basketball all know that doing the fundamentals well is what leads to success. Learn what the “blocking and tackling” fundamentals of IT support are and teach your employees to achieve more success. Manage IT support for any length of time and sooner or later you will encounter challenging employees or clients. Take my proven processes to address these challenges and you will achieve more success in the process. This class discusses the challenges and gives you step by step guides to address employee and client challenges. IT managers have the toughest management role in a company, , , by far. Learn what the 7 reasons are that cause these challenges and I’ll give you specific steps to counter each. When you know what these issues are and take action to address them it positions you and your team for much greater success. No one will know about your IT organization’s success unless you communicate it. In this class I will give you a process to follow and tools to help you track and communicate IT success. 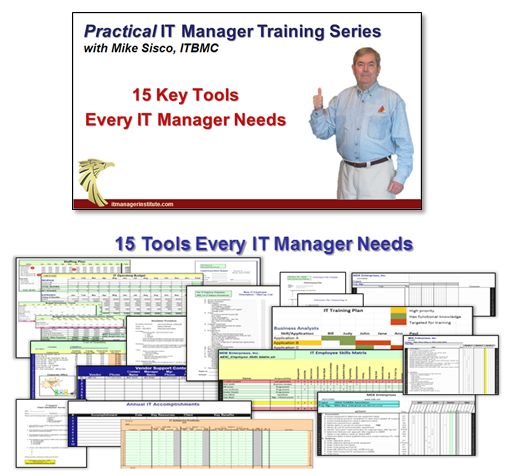 The free download you receive in this class is one of the tools that has helped me the most in my IT manager career, and it will help you as well. Have you ever thought, “Why do some managers get promoted over others?” Well, there are quantifiable reasons. To get promoted, you must be positioned to be promoted. In this class I’ll give you insight and a guide on what you must do to be positioned for your next promotion. This class provides a high level overview of the process companies go through when they acquire other companies. I’ve been involved in 46 company acquisitions and have learned firsthand the dynamics that take place and what you need to anticipate and plan for. Transitioning or assimilating a newly acquired company can go smoothly when you are prepared or it can be disastrous if you are not. 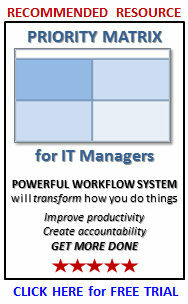 In this class I will discuss six key things that can set you apart from other IT managers. Differentiate yourself from the “average” manager and it can literally boost your career. If you want a CIO position you need to prepare for the interview(s) that come with screening the candidates. I’ll give you insight into this and tips that help you present yourself as a business executive who can make tangible differences and will deliver business value to the company. To get the job, you need to be able to “walk the walk and talk the talk”. Included is a FREE DOWNLOAD of my book, What To Look For in a CIO that will give you even more insight. I’ve had a very successful career that continues even today. In this class, I’ll give you the key “career tips” that I think have helped me grow my career and to earn more responsibility in the companies I’ve worked for. Included with this class is a download copy of my book, IT Management Models. Models are great tools to help you communicate. I’ll walk you through the process of creating a model and discuss many of the 72 models in the book so you see the training and coaching possibilities in using them. This will be a fun, even humorous class in that I’ll share some stories encountered during my career that are quite funny. With each “war story” there is a lesson and coaching opportunity to help you avoid costly mistakes and to achieve more success. 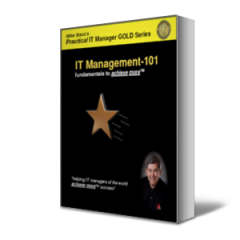 Premium GOLD Members receive free access to new online training classes delivered every month in the Practical IT Manager Training Series plus access to my entire IT Manager Resources Library. Can’t attend a “live” IT Manager Institute class? 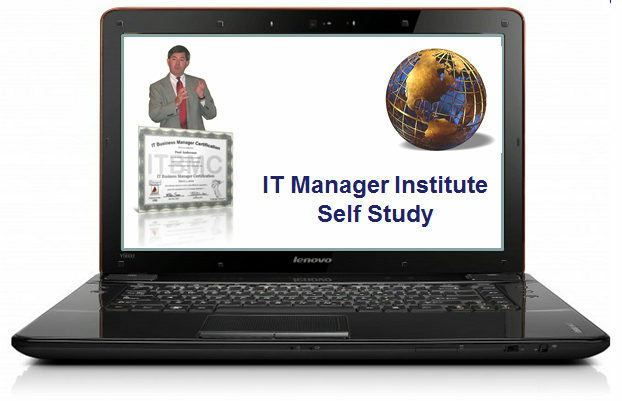 Take a look at the IT Manager Institute Self Study version and work at your own pace. 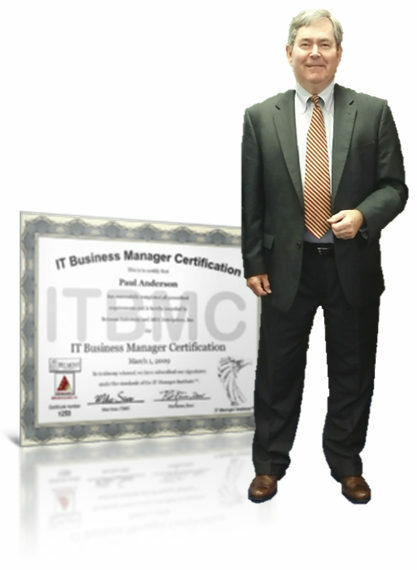 Same instruction and bonus material as the classroom version plus ability to earn your IT Business Manager Certification (ITBMC). Online training is a great way to develop key management skills plus it is cost effective with no travel expense or time away from your office. 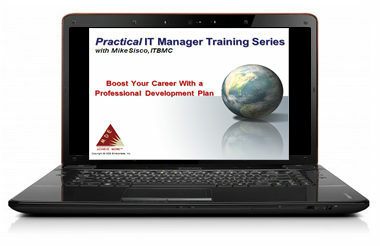 We have a growing list of recorded training classes to help IT Managers achieve more success.